Robin Wood's interest in art was evident from an early age-she literally teethed on Prismacolor pencils. A prolific artist, she has illustrated many book and magazine covers. She lives in the Midwest with her husband, Michael Short. 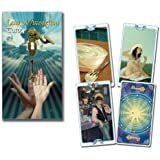 I have been buying this tarot deck for years mainly because I love Robin Wood's imagery. This particular deck is the poorest quality I have ever received mainly because the card stock is so flimsy compared to my other purchases and the colour vibrancy is definitely lacking. It wasn't worth the money and I hope that the quality of these beautiful cards returns to earlier versions. Very happy with this purchase. 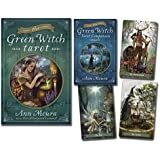 I love the artwork created by Robin Wood.The images are colorful, and a bit different from some of the Rider-Waite-Smith decks I own.An easy to read tarot for beginners. I highly recommend The Robin Wood Deck. Be aware of the thin card stock...shuffle carefully. Stunning cards, the imagery evokes feeling even in absolute beginners. They follow suit in the traditional Ryder-Waite style but are much more beautiful and though evoking, very easy to connect to. 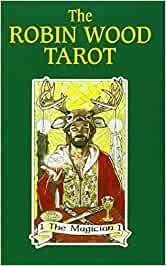 Also the symbolism is very "earthy" I'd say, which appealed to me (a non practising catholic) even though it is a pagan deck. I am learning to use it and the images to me make sense!! I can actually READ it... 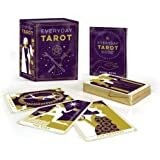 It's a very good tarot deck.